Our teaching from Torah, The Law of Moses will continue in Numbers 33.1-5. AND THE TITLE OF OUR MESSAGE IS, THE ROAD MAP OF THE CHILDREN OF ISRAEL FROM EGYPT TO THE PROMISED LAND. And with that said, let’s read Numbers 33.1-5. Earlier, Moses had agreed to give the Tribe of Gad, and the Tribe of Reuben, and half the Tribe of Manasseh, the son of Joseph, the conquered Kingdoms of Sihon, King of the Amorites, and the Kingdom of Og, King of Bashan. That conquered land that the three Tribes possessed was in Gilead, current-day Jordan, and not part of Canaan. And the armies of the three Tribes went before The Children of Israel to fight against the Canaanites to conquer Canaan and possess it for the Jewish Homeland. And the three Tribes built towns in their newly conquered lands, and changed the names of those Towns and Cities. And drove out the people who lived in them. THE ROAD MAP OF THE CHILDREN OF ISRAEL FROM EGYPT TO THE PROMISED LAND. Now, at the Commandment of The LORD, Moses recorded all the starting points of the Children of Israel from Egypt to Canaan, The Promised Land. The People, along with the armies of Israel were under the command of Moses and Aaron. But of course they were guided and directed by The LORD THEIR GOD, THE GOD OF ISRAEL by a Pillar of Cloud during the daytime, and a Pillar of Fire during the night time, leading them to their Homeland. And the Children of Israel, some three million People with a mixed multitude of non-Israelites left from Rameses in Egypt in the first Hebrew month Nisan on The Fifteenth Day, on The Day after The First Passover. And The Bible says, They went out with a high hand in the sight of the Egyptians. Meaning, they left Egypt after 400 years under Egyptian slavery with their hands raised high in Praise and Honor, Joy, and Thanksgiving to The LORD THEIR GOD. While the Children of Israel were leaving Egypt for their journey to Canaan, the Egyptians were burying their firstborn whom The LORD had killed among them. And The LORD had executed judgment on the Egyptian gods. That is, I believe, The LORD pronounced sentence on the Egyptian gods and destroyed them all. It is thought that there were over 2,000 Egyptian gods made of bronze, gold and silver, wood, marble or stone. Many with human bodies and heads of animals and birds. Foolish man this Pharaoh. Pharaoh’s refusal to obey THE LORD GOD and let GOD’S People Go brought on the death of all the firstborn Egyptians. Perhaps thousands, even millions of firstborn Egyptians GOD killed because the Great Pharaoh refused to obey THE GOD OF ISRAEL. Add to that, Egypt was destroyed by the ten plagues that GOD sent upon them because Pharaoh rejected GOD’S Command to let His People go. And add to that, every one in Pharaoh’s army was killed in the Red Sea. MOST PEOPLE TODAY THROUGHOUT THE WORLD REFUSE TO OBEY THE GOD OF ISRAEL. And from Etham, they walked to a place called Pi-hahiroth that today would be near a lake in Egypt called Bitter Lakes. Bitter Lakes is just above the Suez Canal near Cairo. EXODUS 16.4 GOD TESTS US TO KNOW WHAT IS IN OUR HEART. WILL WE WALK IN GOD’S TORAH, HIS LAW OF MOSES, OR NOT? Dophkah was a campsite for Israel between the wilderness of Sin on the shore of the Red Sea, and the oasis valley of Rephidim. From Dophkah The Children of Israel moved on to a place called Alush which is in the southern part of Sinai between the wilderness of Sin on the shore of the Red Sea and the oasis valley of Rephidim. And from Alush, they walked with their flocks, and cattle, and animals to Rephidim in southern Sinai north of the Red Sea. The Red Sea circles around the bottom portion of the Sinai Peninsula that is shaped like an upsidedown triangle. So from Rephidim they continued into the desert of Sinai, and camped in a place The LORD named Kibroth-hattaavah, meaning, Because there they buried the People who lusted. So GOD had Miriam shut out of the camp seven days because The LORD struck her with leprosy for her verbal attack against Moses. And when The LORD healed Miriam, The People moved on into the wilderness of Paran. The wilderness of Paran is also in the Sinai. But first, the People camped in a place called Rithmah on the eastern side of the Sinai, moving closer to Canaan. Then Israel journeyed on to a place called Rissah where the Negev, the southern part of current-day Israel, and the Sinai converge. Then The Children of Israel camped in fifteen different places in the Sinai wilderness before setting up camp in Ezion-Geber, a place located at the tip of the Gulf of Aqaba that is part of the Red Sea. The People were at the border of current-day Elat in Israel. Elat today is a beach resort. From Ezion-Geber, Israel camped in the wilderness of Zin which is in Kadesh. Kadesh was located in the Sinai some fifty miles south of Beersheba on the border of the Land GOD has given to The children of Israel for an everlasting possession. After camping in four locations in current-day Jordan, the Children of Israel set up camp at the edge of Moab, also in today’s Jordan. The Children of Israel were close to The Promised Land where they would cross the Jordan River and begin to possess the land of Canaan. And The LORD spoke to Moses in the plains of Moab by the Jordan River near Jericho saying, Speak to the Children of Israel, and say to them, When you have passed over the Jordan River into the Land of Canaan, then you shall drive out all the people who live in the land from before you. And destroy all their pictures. That is to say, destroy all their imagery of idols on their walls. And destroy all their images and gods, and tear down their high places where their idols and gods are. AND DRIVE OUT ALL THE CANAANITE PEOPLE IN THE LAND, AND LIVE IN IT. FOR I HAVE GIVEN YOU THIS LAND TO POSSESS IT. The words DRIVE OUT, AND POSSESS in Hebrew is YAH’RAHSH meaning, TO DRIVE THEM OUT, POSSESS THE LAND, AND INHERIT THE LAND. And you shall divide the Land by lot for an inheritance among your families. The LORD said. BUT IF YOU WILL NOT DRIVE OUT THE INHABITANTS OF THE LAND FROM BEFORE YOU, THE LORD SAID, THOSE YOU LET REMAIN WILL BE STINGS IN YOUR EYES, AND THORNS IN YOUR SIDES, AND THEY WILL BE ADVERSARIES TO YOU IN THE LAND IN WHICH YOU LIVE. MOREOVER, THE LORD SAID, IT SHALL COME TO PASS THAT I WILL DO TO YOU AS I THOUGHT TO DO TO THEM. GOD Commanded Moses and the Children of Israel to destroy, exile or kill the entire population in the land of Canaan. The Kenites, the Kenizzites, the Kadmonites, the Hittites, the Perizzites, the Rephaim, the Amorites, the Canaanites, the Girgashites, and the Jebusites. Because the Canaanite people were incompatible and an abomination to GOD’S Holy People, and The Holy Land of Israel. AS A HOLY PEOPLE UNTO THE LORD, AND HIS WITNESSES, GOD GAVE HIS JEWISH PEOPLE A MISSION TO ALL MANKIND THAT THEY MUST KEEP THE COMMANDMENTS AND THE STATUTES OF THE LORD GOD OF CREATION. AND THE JEWISH PEOPLE HAVE ACCOMPLISHED GOD’S MISSION BY WRITING THE ENTIRE BIBLE. THE TNAKH, THE OLD TESTAMENT SCRIPTURES, AND THE NEW TESTAMENT SCRIPTURES. THE LORD GAVE THE JEWISH PEOPLE THAT MISSION TO BE HIS WITNESSES, TESTIFYING THAT ALL MANKIND ARE REQUIRED TO OBEY GOD’S TORAH, HIS LAW OF MOSES WRITTEN IN THE FIRST FIVE BOOKS OF THE BIBLE. AND EVERY WORD GOD SPEAKS IN THE BIBLE FROM GENESIS THROUGH REVELATION. AND KNOW AND BELIEVE GOD, AND UNDERSTAND THAT THERE IS ONLY ONE GOD AND NO OTHERS. But because the Jewish People could not bring themselves to eliminate all the Canaanites, many of The Jewish People were drawn into idolatry and rejected GOD’S Statutes, His Law of Moses. And because of that, The GOD OF ISRAEL exiled His People from the Land of Israel in 722 B.C.E, 586 B.C.E, and 70 C.E. because of their disobedience to The LORD Their GOD. At the end of World War 2 in 1945, after 2,000 years in exile throughout the world, The LORD GOD began the return of His Jewish People to their Homeland, Eretz Yisrael, The Land of Israel. And Israel declared its Independence May 14, 1948. THE KEY TO THIS MESSAGE? OBEY GOD. OBEY EVERY WORD GOD SPEAKS IN THE BIBLE. THAT INCLUDES OBEDIENCE TO HIS TORAH, HIS LAW OF MOSES. AND BELIEVE THE BIBLE THAT MESSIAH YESHUA IS GOD ALMIGHTY, HA SHEM ELOHIM. THE ONE GOD OF CREATION. THAT HE IS YOUR ATONEMENT FOR EVERY SIN YOU HAVE COMMITTED. Our teaching of Torah, The Law of Moses will continue from Numbers 32.1-18. AND THE TITLE OF OUR MESSAGE IS, THE COMING MESSIANIC AGE AND THE DIVISION OF THE LAND OF ISRAEL FOR AN INHERITANCE. And with that said, let’s read Numbers 32.1-18. Let’s briefly review Numbers 32.1-18 before we study the subject of The Coming Messianic Age and The Division of The Land of Israel for an Inheritance. Christianity calls the Messianic Age The 1,000 year Millennium. The forty year exodus from Egypt to the Promised Land Canaan that GOD renamed Israel was coming to an end. The Children of Israel, known today as The Jewish People, some three million strong with a mixed multitude, were at the border of Canaan east of the Jordan River in current day Jordan. Also known in The Bible as Gilead. The Borders of the Land of Canaan were from a River in Egypt to the Euphrates River that originates in eastern Turkey and flows through Syria and Iraq, and joins the Tigris River and flows into the Persian Gulf at Kuwait and Abadan, a City in Iran. While the Children of Israel were east of the Jordan River in today’s Jordan, The leaders from the Tribes of Reuben and Gad asked Moses, and Eleazer the Priest, and the Leaders of The Congregation of Israel to give them possession of Jazer and Gilead because the land was ideal for their cattle. Israel had just defeated those Countries where Jazer and Gilead were located, and conquered them for a possession. But Moses thought the two Tribes of Reuben and Gad were unwilling to go to war against Canaan. “Shall your brothers go to war, and shall you sit here,” Moses said to the leadership of Reuben and Gad? But they said to Moses, We will be shock troops before the Children of Israel until we have established them in their home. And we will not return to our homes until the Children of Israel have taken possession of their inheritance in the Land of Canaan. And Moses said, If you will do this thing and go armed before The LORD to war until He has driven out his enemies before Him, and the Land is subdued before The LORD, and then you return to your homes, then your proposal is accepted. And the Reubenites and the Gadites answered Moses, Your servants will do as my lord commands. The settlement and inheritance of the promised land, The Land of Israel was beginning. The Children of Israel had been a nation of slaves at the feet of the Egyptians for 400 years. As a comparison The United States of America has had its Independence for just 241 years. THE BIBLE IS THE AUTHORITY. The Bible is the official and accepted source of Biblical and GODLY information above every book, and above every teaching of man. The Bible consists of the first five Books of Moses called The Torah, known as The Law of Moses, and also The Prophets, and The Writings of the Psalms and Proverbs, etc., and The New Testament. And The Bible from Genesis through Revelation is written by Jewish writers. I say that because some of the teachings from Bible teachers are outlandish and wrong in the ears of GOD and the Jewish writers. For example, the teaching of a trinity of three different persons, or three different gods is pagan to GOD ALMIGHTY, and pagan to the Jewish writers of The Bible. And pagan to Jewish People. The trinity is not Scriptural nor is it mentioned anywhere in The Bible because there is no such thing as a trinity of three different gods. Because there is only ONE GOD, period. GOD can appear physically in many different places all at the same time because He is GOD and not a human being like you and me. Bible teachers who teach that The Torah, The Law of Moses is no longer in effect teach a lie. And that teaching is hatred toward GOD. And something the writers of The Bible would never even consider. Because The Word of our GOD stands forever. It never changes nor does it ever end. Also, many Jewish People and Rabbis do not believe that Messiah Yeshua is THE JEWISH MESSIAH and GOD ALMIGHTY though that is precisely what is taught in Tnakh, The Old Testament Scriptures. That MESSIAH YESHUA IS GOD ALMIGHTY, HA SHEM ELOHIM. Jewish People are taught that the coming Messiah will be a Jewish man, a human being like you and me. Even though it is Prophesied in Tnakh, The Old Testament Scriptures by Jewish Prophets who received that Doctrine from GOD ALMIGHTY to reveal it to the Jewish People and to all the world that The Jewish Messiah Yeshua is GOD ALMIGHTY, YHVH, HA SHEM ELOHIM. And His Name and Title are Yeshua HaMashiakh, Yeshua The Messiah. THE COMING MESSIANIC AGE AND THE DIVISION OF THE LAND OF ISRAEL FOR AN INHERITANCE. So let’s learn from The Bible about the Coming Messianic Age, and the Division of The Land of Israel for an Inheritance to The Jewish People, and to Non-Jewish People when Messiah Yeshua returns to Israel and Reigns on The Throne of David in Jerusalem, King over all the earth. There is a sequence of events that must take place some time in the future before The LORD returns, and the Land of Israel is divided to the twelve tribes of Israel for their inheritance. First, the time must come, and it may not be too far in the future, that The LORD will gather ALL the nations of the world against Jerusalem to battle. AND THE LORD GOD, WHO IS THE MESSIAH YESHUA, WILL GO FORTH AND FIGHT AGAINST THOSE ARMIES AND DESTROY THEM. And this will be the plague that GOD will use to kill the people who battle against Jerusalem. Their flesh will consume away while they stand upon their feet. And their eyes will consume away in their holes. And their tongue will consume away in their mouth. And at that time during the battle against Jerusalem, there will be a great world wide tribulation such as was not since the beginning of the world, nor ever will be. And except those days are shortened, no flesh would be saved. But for the elect’s sake those days will be shortened. And The Bible says, As the lightning comes out of the east, and shines to the west, so also shall be the Coming of The Son of Man, THE MESSIAH YESHUA, GOD ALMIGHTY, HA SHEM ELOHIM. And immediately after the tribulation of those days, the sun will be darkened, and the moon will not give its light, and the stars will fall from Heaven, and the powers of The Heavens will be shaken. And then shall appear the Supernatural. GOD ALMIGHTY, THE MESSIAH YESHUA, IN HEAVEN. And all the Tribes of Israel and the world will see The Jewish Messiah coming in the Clouds of Heaven with Power and Great Glory. And at that time, The Prophesy of The Resurrection of the dry bones written in Ezekiel 37 concerning The House of Israel will suddenly happen. And those Jewish People, The Remnant of Israel whom THE LORD will Resurrect from the days of Abraham will rise from the dead and come out of their graves. AND The LORD will descend from Heaven with a Shout, with the voice of the Archangel, and with the mighty blast of the Shofar of GOD. And the dead in Messiah will rise first from their graves. Then those who are alive in Messiah will be caught up together with them in the Clouds to meet The LORD in the air. And forever we will be with THE LORD OUR GOD. And all His Holy Ones, His Saints, you and me, and His Angels will gather together in the Clouds with Messiah, and will come with THE LORD OUR GOD, THE MESSIAH YESHUA to the MESSIANIC KINGDOM ON EARTH IN ISRAEL. Where Messiah’s Feet will stand in that Day upon the Mount of Olives that is east of Jerusalem overlooking the City. And The Mount of Olives will split open from the east and the west. And there will be a very great valley. And half of the Mountain will move toward the north, and the other half will move to the south. And in that Day, THE BRANCH OF THE LORD, THE MESSIAH YESHUA will be Beautiful and Glorious. And the fruit of the earth will be Excellent and Magnificent. And the Remnant of The Jewish People in Israel will flee to the Valley of The Mountains to meet THE LORD THEIR GOD, MESSIAH YESHUA. And MESSIAH YESHUA, HA SHEM ELOHIM will build the Temple of THE LORD. And He will assume His Majesty. And He will sit on His Throne in Jerusalem and Rule over all the earth. ISAIAH 4.2 The Hebrew Word for ESCAPED, as in Them that are ESCAPED of Israel is F’LAY’TAHT meaning REMNANT, DELIVERED, and ESCAPED. The REMNANT of Israel will have ESCAPED the onslaught of all the armies of the nations that attacked Jerusalem, and will be DELIVERED by The LORD THEIR GOD and will flee to the Valley of the Mountains to be with THE LORD THEIR GOD, MESSIAH YESHUA FOREVER. AND NOW AT MESSIAH’S RETURN, THE INHERITANCE OF THE LAND OF ISRAEL IN THE MESSIANIC AGE WILL TAKE PLACE AND BE DIVIDED AMONG THE TWELVE TRIBES OF ISRAEL, WITH A LARGE PORTION OF LAND SET ASIDE IN JERUSALEM FOR THE TEMPLE OF THE LORD. And these are the names of the Tribes of Israel who will inherit the Land. The Tribes of Dan, Asher, Naphtali, Manasseh, Ephraim, Reuben, Judah, Benjamin, Simeon, Issachar, Zebulun, and Gad. And the Land will be divided by lot for an inheritance to the Jewish People and to the non-Jewish People who will live among the Jewish People in The Kingdom of Israel. And the non-Jewish People will be as born among the Jewish People in Israel. And they will have their inheritance among the Jewish People and among the Tribes of Israel. And a large portion of the Land will be for The Temple of The LORD. GOD’S WILL WILL BE DONE ON EARTH AS IT IS IN HEAVEN IN THE MESSIANIC KINGDOM ON EARTH IN ISRAEL. Our teaching from Torah, The Law of Moses will continue from Numbers 32.1-5. AND THE TITLE OF OUR MESSAGE IS, ISRAEL BEGINS TO TAKE POSSESSION OF THE PROMISED LAND. And with that said, let’s read Numbers 32.1-5. The Tribes of Reuben and Gad had large numbers of cattle. And before crossing the Jordan River to enter and possess the Land of Canaan, they saw that the lands of Jazer and Gilead were ideal for their cattle. The lands of Jazer and Gilead were east of the Jordan River in current day Jordan, east of the Galilee and the Dead Sea. And the settlement process was beginning for The Children of Israel in The Promised Land, the Land of Canaan. But Jazer and Gilead were not part of Canaan. On their journey to Canaan, The Children of Israel had already routed a number of their enemies that attacked them for no reason on that side of the Jordan River. Israel had sent messengers to Sihon, King of the Amorites, saying, Let us pass through your land. We will not go into your fields, or into the vineyards. We will not drink from the waters of your well, but we will go along the King’s Highway until we pass your borders. But the King answered by sending his armies against Israel. And The Children of Israel killed the King and defeated his army. And Israel possessed the King’s land from Arnon to Jabbok where the land of Jazer was. And Israel took all those Cities and lived in the land of the Amorites. And Moses sent spies to search out Jazer. And Israel took the villages of Jazer and drove out the Amorites that were there. And the Children of Israel turned up by the way of Bashan where Gilead is. And Og, the King of Bashan also went out to battle Israel. And that was a huge mistake on his part. And The LORD said to Moses, Do not fear him for I have delivered him into your hand, and all his people, and his land. And you shall do to him as you did to Sihon, King of the Amorites. And Israel killed Og, the King of Bashan and his sons, and all his family until there were none of the King’s family left alive. And the Children of Israel possessed his land also. 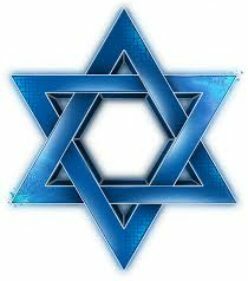 I think of the myriads of peoples and nations over the course of history that have attacked Israel and the Jewish People for no cause except for anti-Semitism. And what their fate will be? Their fate will be the same as the Kings of Sihon and Bashan and their people. In PSALM 83.4 in the Hebrew Bible or PSALM 83.3 in the Christian Bible, The Hebrew Word for HIDDEN, as in, They have consulted against your Hidden ones is STAH’FAHN that means PROTECT, AND TREASURED ONES. GOD’S ENEMIES ARE ISRAEL’S ENEMIES AND THE ENEMIES OF THE JEWISH PEOPLE. So the Leadership of the Tribes of Gad and Reuben came to speak to Moses and Eleazar the Priest, and to the Leaders of the Congregation. And they said, the Countries and all their land that The LORD conquered for The Children of Israel is a land for cattle, and your servants have cattle. It would be a favor to us that this land be given to your servants for a possession, and do not move us across the Jordan River. Now Moses thought their request was a sign of their unwillingness to fight for the Conquest of Canaan, The Promised Land. And Moses said to them, Shall your brothers go to war, and shall you sit here? And why do you discourage the hearts of The Children of Israel from going over into the Land which The LORD has given them? That is what your fathers did when I sent them from Kadesh-barnea to see the Land. Because when they went up to the Valley of Eshcol and saw the Land of Canaan, they discouraged the Children of Israel from invading the Land which The LORD has given to them. Earlier, The LORD had said to Moses, Send men to search out the Land of Canaan which I have given to the Children of Israel. Of every tribe you shall send a man who is ruler among them. And Moses sent a man from each tribe, twelve men to spy out the Land of Canaan. And Caleb and Joshua were with them. And Moses told them to see the Land, what it is, and the people that dwell in it, whether they are strong or weak, few or many. And what the Land is that they live in. Whether it is good or bad. And what are the Cities they live in, whether in tents or strongholds? And what the Land is, whether it is fat or lean, if there is wood in it or not? And be of good courage, and bring of the fruit of the Land. So they went up from the wilderness of Zin into the Negev, and came to Hebron, and other Cities, and searched out the Land of Canaan. And they came to the brook of Eschol and cut down a branch with one cluster of grapes. And they carried it between two men on a staff. And they brought pomegranates and figs. And they returned from searching the Land of Canaan after forty days. And they went to Moses and Aaron, and to the Congregation of the Children of Israel, and brought back word to them and showed them the fruit of the Land. And they told them, Surely the Land flows with milk and honey, and this is the fruit of it. And the Amalekites live in the Negev in the south. The Hittites, Jebusites, and the Amorites live in the mountains. And the Canaanites live by the sea, and along the Jordan. And Caleb silenced the People before Moses, and said, We should go up at once and possess it for we are well able to overcome it. But the men that went up with them said, We are not able to go up against that people for they are stronger than we. And they spread an evil report about the Land that they searched, and said, It is a Land that eats up the inhabitants of it. And all the people that we saw in it are men of great stature. And we saw the Nephilim there, the giants, the sons of Anak who come of the Nephilim. And we were in our own sight as grasshoppers, and so were we in their sight. TRUST IN THE LORD WITH ALL YOUR HEART AND DO NOT RELY ON YOUR OWN UNDERSTANDING. So after hearing the evil report about the Land of Canaan they were promised by The LORD Their GOD, all the Congregation lifted up their voices and cried, and the people wept all night. And they complained against Moses and Aaron. And again the People said to them, even shouted at Moses and Aaron, If only we had died in the land of Egypt. If only we can die in this wilderness. And why has The LORD brought us to this Land but to fall by the sword and be killed. Our wives and children will be carried off. It would be better to return to Egypt. And they said one to another, let us make a captain and return to Egypt. Then Moses and Aaron fell on their faces before all the people of The Congregation of Israel. And Joshua and Caleb who were of the twelve spies, tore their clothes, and they said to the People, the Land that we passed through to spy it out is a very good Land. If The LORD delights in us, He will bring us into the Land and give it to us, a Land that flows with milk and honey. A Land that is beautiful and has everything we need. Even more than everything we need. But don’t rebel against The LORD. And don’t fear the people of the Land for they are bread for us. And their defense has left them. And The LORD is with us. Do not fear them. And the whole Congregation threatened to stone them. And at that moment, The Glory of the LORD appeared in the Tabernacle of the Congregation of the Children of Israel. And the LORD said to Moses, How long will this People provoke Me? And how long will it be before they believe Me despite all the miracles I have shown among them? I will strike them with the pestilence and disinherit them, and make of you a greater Nation and mightier then they. And Moses said to The LORD, Then the Egyptians will hear of it. For you brought out this People with Your might from among them. And they will tell it to their people because they have heard that You are among them. And that You go before them by day in a Pillar of Cloud, and in a Pillar of Fire by night. Now LORD GOD, if you kill all this People as one man, then the nations that have heard of Your Fame will say, because The LORD was not able to bring this People into the Land which He swore to them. Therefore He has killed them in the wilderness. And now, I beg You LORD GOD, let the Power of My LORD be Great according as You have spoken when You said, The LORD is Long suffering and of Great Mercy. Forgiving iniquity and transgression, and by no means clearing the guilty, visiting the iniquity of the fathers upon the children to the third and fourth generation. But as truly as I live, Saith The LORD, all the earth shall be filled with the Glory of The LORD. But all these men which have seen My Glory, and My Miracles which I did in Egypt and in the wilderness, and have tested Me now these ten times, and have disobeyed Me, surely they will not see The Land which I swore to their fathers. Neither shall any of them that provoked Me see it. But My Servant Caleb because he had another Spirit with him and remained loyal to Me. Him will I bring into the Land where he went, and his descendants shall possess it. And The LORD spoke further to Moses and Aaron, Saying, How much longer will this wicked Congregation continue to complain against Me? Say to them, As I live Saith The LORD, as you have spoken in My Ears, so will I do to you. Your carcasses shall fall in the wilderness. And all that were numbered of you from twenty years old and upward which have complained against Me, not one shall enter the Land that I swore to you to settle you except Caleb and Joshua. But your little ones which you said should be a prey, them will I bring in, and they shall know the Land which you have despised. But as for you, your carcasses will fall in this wilderness. And your children shall wander in the wilderness forty years, suffering for your faithlessness until the last of your carcasses are wasted in the wilderness. After the number of the days in which you spied out the Land, even forty days, for every day a year, you shall bear your iniquities, even forty years. And you shall know your violation of GOD’S Law, His Trust, His Faith, and His Promise. So The LORD reduced Israel’s punishment. The entire Nation was not wiped out. But the current generation who complained against The LORD and disobeyed Him did not inherit The Promised Land. They died in the wilderness and never entered the Promised Land. And The Children of Israel wandered in the desert for forty years because of their disobedience, and lack of trust, and their iniquity against The LORD Their GOD. PETER TEACHES IN THE NEW TESTAMENT THAT MESSIAH YESHUA IS OUR EXAMPLE TO FOLLOW WHO DID NOT SIN. AND PAUL TEACHES IN THE NEW TESTAMENT THAT THE JEWISH PEOPLE WHO ARE THE CHILDREN OF ISRAEL ARE OUR EXAMPLE OF THE CONSEQUENCES FOR SINNING AGAINST GOD. BECAUSE, PAUL WRITES, THE LORD THEIR GOD WAS NOT WELL PLEASED WITH MANY OF THEM FOR THEY WERE OVERTHROWN IN THE WILDERNESS. SO PAUL TEACHES THAT ISRAEL’S JOURNEY TO THE PROMISED LAND HAS EXAMPLES FOR US TO OBEY GOD. THOSE EXAMPLES ARE TO OBEY THE LORD YOUR GOD BY OBEYING HIS LAWS, TEACHINGS AND INSTRUCTIONS THAT ARE WRITTEN IN TORAH, THE LAW OF MOSES. PAUL TAUGHT THESE NON-JEWISH CORINTHIAN PEOPLE SOMETHING THAT IS RARELY TAUGHT TODAY. HE TAUGHT THEM ABOUT “ALL OUR FATHERS WERE UNDER THE CLOUD, AND ALL PASSED THROUGH THE SEA”. ALL”OUR FATHERS” WERE JEWISH WHO WERE UNDER THE CLOUD, AND ALL CROSSED THROUGH THE SEA. AND ALL WERE “BAPTIZED INTO MOSES”. BEING BAPTIZED INTO MOSES MEANS THAT YOU WILL WALK WITH GOD BY OBEYING HIS LAWS, TEACHINGS AND INSTRUCTIONS THAT ARE WRITTEN IN THE LAW OF MOSES. AND HAVE AS “YOUR FATHERS” THE JEWISH FATHERS WHO WERE UNDER THE CLOUD AND PASSED THROUGH THE SEA IN THE EXODUS TO THE PROMISED LAND. PAUL TEACHES THAT JEWISH AND NON-JEWISH PEOPLE MUST LIVE THEIR LIFE BY EVERY LAW, TEACHING, AND INSTRUCTION IN TORAH, THE LAW OF MOSES THAT GOD COMMANDS THE JEWISH PEOPLE TO DO. ALL THAT IS WRITTEN IN THE FIRST FIVE BOOKS OF THE BIBLE, ALONG WITH YOUR FAITH IN MESSIAH YESHUA FOR ATONEMENT. THE FIRST FIVE BOOKS OF THE BIBLE FROM GENESIS THROUGH DEUTERONOMY IS THE LAW OF MOSES. AND THE LAW OF MOSES IS THE FOUNDATION OF YOUR FAITH. TALMUD IS NOT THE BIBLE. THAT IS THE BIBLICAL FORMULA FOR SALVATION, AND ETERNAL LIFE FOR EVERYBODY ALONG WITH YOUR FAITH IN MESSIAH YESHUA FOR YOUR ATONEMENT. THEN FOR NON-JEWISH BELIEVERS IN MESSIAH YESHUA, YOUR FATHERS WHO WERE UNDER THE CLOUD AND PASSED THROUGH THE SEA, AND WERE BAPTIZED INTO MOSES BECOME YOUR FATHERS AS ABRAHAM, THE FATHER OF THE JEWISH PEOPLE BECOMES YOUR FATHER. FOR MESSIAH YESHUA IS GOD. HE IS GOD ALMIGHTY, THE LAWGIVER, THE GIVER OF THE LAW OF MOSES TO ALL MANKIND. THEN, BECAUSE YOU OBEY GOD BY OBEYING HIS TORAH, GOD’S LAW OF MOSES, YOU ARE NO LONGER STRANGERS AND FOREIGNERS BUT FELLOW CITIZENS WITH THE SAINTS WHO ARE THE JEWISH PEOPLE, AND OF THE HOUSEHOLD OF GOD. IN 1 CORINTHIANS 10.11, PAUL TEACHES THAT EVERYTHING THAT HAPPENED TO THE CHILDREN OF ISRAEL IN THE WILDERNESS DURING THEIR JOURNEY TO THE PROMISED LAND ARE FOR EXAMPLES THAT ARE WRITTEN AS A WARNING AS THE END OF THE WORLD COMES. WHY ARE THOSE EXAMPLES WARNINGS? BECAUSE AT TIMES ISRAEL DISOBEYED GOD. THEY DISOBEYED TORAH, GOD’S LAWS THAT ARE WRITTEN IN THE LAW OF MOSES. AND 1 CORINTHIANS 10.8 READS THAT 23,000 FELL IN ONE DAY. OBEY GOD’S TORAH, HIS LAWS THAT ARE WRITTEN IN THE LAW OF MOSES IN THE FIRST FIVE BOOKS OF THE BIBLE THAT NEVER CHANGE OR END, ALONG WITH YOUR FAITH IN MESSIAH YESHUA FOR ATONEMENT. AND WHEN YOU CONSIDER, PAUL’S TEACHING TO YOU IS A WARNING OF LOVE TO INHERIT ETERNAL LIFE. Our message this morning will come from Psalm 91. AND THE TITLE OF OUR MESSAGE IS, GOD ALWAYS PROTECTS THE GODLY. And with that said, let’s get started with Verse 1. VERSE 1 I believe that the Secret Place of The Most High, The Most High is GOD ALMIGHTY, is a secret to most people, but not to you. After Messiah taught the parable of the sower to the great multitudes, His Disciples asked Him, Why do you speak to them in parables? Like the mysteries of The Kingdom of Heaven, The Secret Place of The Most High is not revealed to the great masses either. But it is revealed to you. THE KINGDOM OF HEAVEN IS THE MOST HIGH. THE MOST HIGH IS GOD ALMIGHTY WHO REIGNS AND RULES OVER HEAVEN AND EARTH AND ALL THAT IS IN THEM. As Messiah’s Disciples understood the mysteries of The Kingdom of Heaven, You understand the meaning of Dwelling in The Secret Place of The Most High. THAT IS HOW ONE DWELLS IN THE SECRET PLACE OF THE MOST HIGH, AND ABIDES UNDER THE SHADOW OF THE ALMIGHTY. AND YOU KNOW THE SECRET PLACE OF THE MOST HIGH. DEUTERONOMY 29.28 IN THE HEBREW BIBLE AND DEUTERONOMY 29.29 IN THE CHRISTIAN BIBLE Reads, The Secret Things belong to The LORD Our GOD, but those things which are revealed belong to us and to our children forever that we are to do all the Words of this Law. This Law is The Torah, The Law of Moses. Yes, GOD has countless secret things that are far beyond human understanding. BUT WHAT IS REVEALED TO US AND TO OUR CHILDREN FOREVER IS TORAH, THE LAW OF MOSES. AND GOD REQUIRES US TO OBEY WHAT HE HAS REVEALED TO US, THE LAW OF MOSES. AND BY DOING IT AND LIVING IT, YOU ARE IN THE SECRET PLACE OF THE MOST HIGH. AND BECAUSE YOU ARE LEARNING THE LAW OF MOSES, AND LIVING BY THE LAW OF MOSES, YOU ABIDE UNDER THE SHADOW OF THE ALMIGHTY. BUT THE LAW IS NOT REVEALED TO EVERYONE. THUS, THE LAW OF MOSES IS A SECRET TO THE MASSES THOUGH IT IS REVEALED THROUGHOUT THE SCRIPTURES FROM GENESIS THROUGH REVELATION. THE LAW OF MOSES HAVING ALL GOD’S LAWS, TEACHINGS AND INSTRUCTIONS WRITTEN IT IS NON-EXISTENT TO THE NATIONS. That Teaching is taught only in Israel and the Jewish Religious Institutions, and certain Messianic Jewish Congregations throughout the world. Unfortunately, especially for it’s membership, many non-Jewish Religious institutions teach that GOD’S Law of Moses has been abolished and done away with. Religions teach a specific set of beliefs and practices generally agreed upon by a number of persons that adhere to a particular religious faith. And their beliefs and practices have very little to do with The Teachings of The GOD OF CREATION taught in The Bible. No Religion other than the Jewish Religion teaches the Truth of GOD that is taught in The Bible, in The Law of Moses, The Prophets, and The Writings, such as The Psalms, and Proverbs, etc. ADD TO THAT, THE MESSIANIC JEWISH CONGREGATIONS THAT TEACH THE TRUTH OF THE JEWISH MESSIAH YESHUA WHOSE TEACHINGS IN THE NEW TESTAMENT ARE ALL IN HARMONY AND AGREEMENT WITH THE TEACHINGS OF THE LAW OF MOSES. WHY? BECAUSE THE MESSIAH YESHUA IS THE MOST HIGH GOD. HE IS THE ALMIGHTY. AND HE IS THE LAWGIVER. DWELLING IN THE SECRET PLACE OF THE MOST HIGH IS TO WALK WITH GOD. Walking with GOD is living your life according to every Word GOD Speaks in The Bible that includes a life of obedience to Torah, The Law of Moses. And believing in GOD’S Prophets and their Teachings. And having Atonement in The Messiah Yeshua. AND BELIEVING IN ONE GOD WHO IS ONE PERSON, MESSIAH YESHUA, WHO IS GOD ALMIGHTY, YEHOVAH, THE FATHER, THE SON, THE MESSIAH, MELCHIZEDEK, THE SPIRIT, THE HOLY SPIRIT, AND SO MUCH MORE. Peter, whose Hebrew name is Shimon, gives us the answer. NOT SINNING MEANS THAT MESSIAH LIVED HIS LIFE ACCORDING TO THE LAW OF MOSES. THAT IS HOW YOU MUST LIVE YOUR LIFE. ACCORDING TO THE LAW OF MOSES, AS MESSIAH YESHUA LIVED HIS LIFE. THAT IS FOLLOWING IN THE STEPS OF MESSIAH. Thus, The Secret Place of The Most High is to follow the Example of Messiah Yeshua, living in obedience to Torah, The Law of Moses. THOSE ARE THE FOOTSTEPS OF MESSIAH. The GODLY People in The Bible, in Tnakh, The Old Testament, and in The New Testament all walked with GOD. They lived according to GOD’S Laws before GOD’S Creation of Torah. And the GODLY lived according to GOD’S Laws, Teachings and Instructions written in The Law of Moses after the Creation of Torah. VERSE 2 In times of trouble, you will say to The LORD in prayer, You are my Refuge, LORD GOD, my Shelter and my Hope. My Fortress, My GOD in You do I Trust. And recall all the times The LORD Your GOD has rescued you, and delivered you in the past in every difficult situation. And He will always deliver you. VERSE 3 Surely, without doubt, The LORD Your GOD will deliver you from anyone who tries to trap you into danger. And The LORD will deliver you from the deadly disease. Always. VERSE 4 When it is said that GOD covers you with His Feathers, and under His Wings you shall Trust, you are seeing a picture of GOD’S Divine Protection for you. His Truth is your Shield and Protection. Believe GOD. Believe Every Word and Every Promise GOD Speaks. They are His Truth. And GOD will always do it for you. VERSES 5-6 Do not fear the terror of night, nor any danger during the daytime. Because The LORD Your GOD protects you at all times, day and night. Nor shall you fear any plague, or the destroyer who seeks to destroy. VERSE 7 Evil will not touch you. Even if a thousand fall at your side, and ten thousand at your right hand, the evil will not come near you. VERSE 8 Only with your eyes shall you look and see the reward of the wicked. The word WICKED in Hebrew is RAH’SHAH that means UNGODLY. An UNGODLY PERSON rejects GOD’S Laws, Teachings and Instructions that are written in The Law of Moses. The UNGODLY PERSON is Reprobate. Hear O earth. Behold, I will bring evil upon this people. Even the fruit of their thoughts, because they have not listened or paid attention to My Words, nor to My Law, but Rejected it. The Hebrew word for REJECTED as in REJECTING THE WORD OF GOD AND HIS LAW OF MOSES IS MAH’AH’SOO, MEANING REPROBATE. VERSE 9 Because you have made The LORD your Hope and your Shelter, even The Most High, He is your Home where you live. VERSE 10 And again, no evil will happen to you. And no plague will come near your home. That is the Promise of The LORD Your GOD. VERSE 11 You might see them, and you might not. But GOD Commands His Angels to watch over you, and keep you in all your ways, wherever you go. VERSE 12 These are your Guardian Angels who will always protect you. Wherever you go. Wherever you are. VERSE 13 I don’t think you’ll be looking for a fight with these guys, but they will not harm you. You know, the Breath of Life in every living human and in every living thing is GOD ALMIGHTY, THE MOST HIGH. The Spirit of GOD is in every living being, and every living thing. He is your life and the life of all living creatures and things. IN VERSES 14-16, GOD IS THE SPEAKER, ASSURING YOU OF HIS PROTECTION. VERSE 14 Because you have set your love upon The LORD Your GOD, all these Blessings and all GOD’S Protection will come upon you. And therefore GOD will deliver you, and set you on high because you have known GOD’S Name. AND GOD’S NAME IS YESHUA, AND HIS TITLE IS MESSIAH. AND HIS NAME IS CALLED WONDERFUL, COUNSELOR, MIGHTY GOD, EVERLASTING FATHER, PRINCE OF PEACE, YEHOVAH, GOD, ELOHIM, MELCHIZEDEK, ADONAI, MY LORD, THE LORD OF HOSTS, THE GOD OF HOSTS, I AM, I AM THAT I AM, EL SHADDAI, GOD ALMIGHTY, THE LORD, THE EVERLASTING GOD, THE LORD YOUR GOD, THE LORD GOD OF ISRAEL, THE LORD MY GOD, THE LORD OUR GOD, THE GOD OF JACOB, THE MOST HIGH, IMMANUEL, GOD WITH US, THE GOD OF ISRAEL, THE HOLY ONE OF ISRAEL, HOLY, THE BRANCH, YESHUA HA MASHIAKH, ADONAI YESHUA, ADONAI YESHUA HA MASHIAKH, YESHUA OF NAZARETH, MESSIAH, THE FATHER, THE WORD OF GOD, KING OF KINGS AND LORD OF LORDS. VERSE 15 And always know this. When you call upon The LORD Your GOD, He will answer you. The timing is His, not yours. But know that The LORD will answer you. And The LORD Your GOD will be with you in trouble, and He will always deliver you. And on top of that He will honor you. VERSE 16 And GOD will give you long Life, and He will satisfy you. And so important, The LORD will show you His Salvation. In Hebrew, MY SALVATION is YESHUA’TEE. MY YESHUA. MEANING, HE WILL SAVE YOU, AND DELIVER YOU. SO IN SUMMARY, IT IS NOT CONVENTIONAL WEAPONS OF GUNS AND KNIVES THAT ARE YOUR DEFENSE, BUT HAVING PROTECTION IN THE LORD YOUR GOD, THE HOLY ONE OF ISRAEL. THAT IS WHY YOU CAN LIVE WITHOUT FEAR OF THOSE WHO WOULD HARM YOU. BECAUSE YOU DWELL IN THE SECRET PLACE OF THE MOST HIGH, AND YOU ABIDE UNDER THE SHADOW OF THE ALMIGHTY.